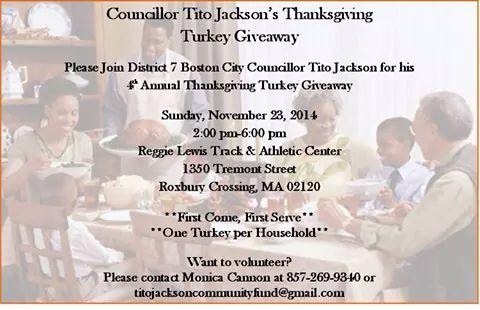 Proud City Councillor Tito Jackson will be hosting his 4th Annual Turkey Giveaway at his district, Roxbury Crossing, in Massachusetts. Each year benefactors, from all over Boston, provide Mr. Tito Jackson with thousands of turkeys. And each year Mr. Tito Jackson takes one day aside from his civic duties to giveaway turkeys to families less fortunate in his low income area of District 7–one turkey per family. The mission of the Tito Jackson Community Fund is to give back to those in need, and to provide a meal that has been celebrated in our great nation for over a century. Mr. Tito Jackson is looking for volunteers and if you are interested he asks that you RSVP with his overseer Monica Cannon via phone 857-269-9340 or email (titojacksoncommunityfund@gmail.com). 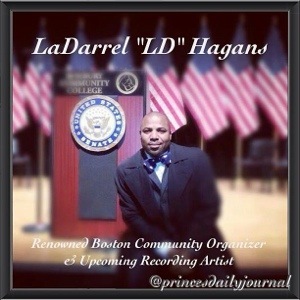 A special volunteer who will be helping in this effort is LaDarrel Hagans, Singer and Well-Renowned Community Organizer. Read his story and learn how he became the outstanding grassroots organizer that he is today.